The Mandate trade union says workers could lose up to €76 per week from their income in parking expenses as a result of the move. THE MANDATE TRADE union is criticising plans to withdraw parking facilities for staff at a number of stores in the run up to Christmas. It’s understood the company has contacted workers in over half of its 116 Republic of Ireland stores stores in recent weeks to inform them of the move. The union says the decision is ‘inconsiderate’ and places an unfair financial burden on staff. “With the lack of rural transport in certain areas, workers, in many instances, have no option but to drive to work,” Mandate Assistant General Secretary Gerry Light said. “This means they face extra costs to pay for private parking and also face the risks associated with having to walk long distances in isolated areas at unsociable times. 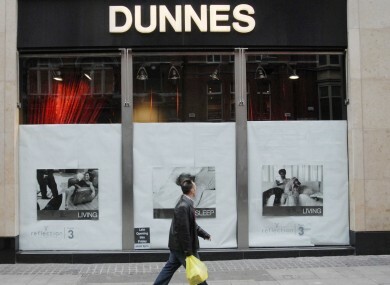 Light said the move also raised health and safety concerns as many Dunnes workers — a large proportion of whom were women — could start shifts as early as 6am and finish as late as 11pm. In addition, workers in a smaller number of stores have been informed that the withdrawal of parking facilities is on a permanent basis. The union has written to the retailer asking it to row back on the decision or to offer staff alternative facilities. Dunnes Stores had not replied to a request for information on the issue from TheJournal.ie by close of business yesterday. Email “Workers slam 'inconsiderate' Dunnes over withdrawal of staff parking spaces”. Feedback on “Workers slam 'inconsiderate' Dunnes over withdrawal of staff parking spaces”.